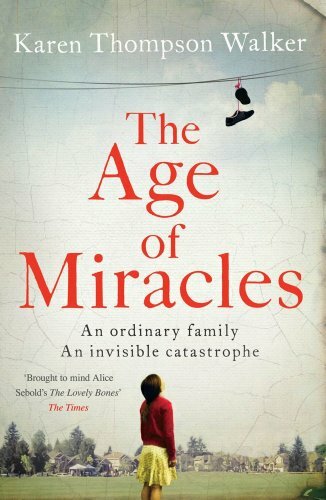 The Ages of Miracles is a book about an ordinary family and the way that their ordinary lives are changed when the world itself changes in an extraordinary, yet initially subtle, way. One day, the rotation of the earth slows. Days become a tiny bit longer. Every day, daytime stretches more, but there is no pattern to this addition; one day there may be an extra hour, the next an extra five minutes, the day after that an extra ten. Nobody knows why this is happening or what impact it will have. All they know is that the days are getting gradually longer, the 24-hour clock is getting out of sync and, of course, that life is going on regardless. Eleven-year old Julia lives with her mother and father in California. She is a sunshine kid who lives in a stucco house in a cloudless neighbourhood. Her father is a doctor; her mother used to be an actress; her Grandfather lives nearby and keeps obstinately giving away his possessions. Her best friend is named Hanna. Julia has a crush on a boy from the neighbourhood named Seth. In other words, Julia’s world is the world of an ordinary eleven year-old girl. However, the slowing changes things. Hanna moves away to a Mormon collective in Utah with her parents, who believe the slowing is the sign of something apocalyptically big. Julia’s mother begins to get mysterious symptoms, her natural physical and psychological rhythm seemingly knocked out completely by the change in day and night. The world becomes divided into “clock-timers” (those who continue to live by the 24-hour clock and ignore the light and darkness) and “real-timers” (those who attempt to adjust to the new days and nights, ignoring the 24-hour clock completely). This divide causes problems in neighbourhoods and communities of real-timers spring up in the dessert. Seth’s mother is suffering from cancer and Julia does not know how to talk to him about anything. Bullies start getting meaner. Julia’s father starts acting strangely, staying at work late, and a distance forms between her parents. I really like the way that the ordinary problems of growing up are intertwined with the science-fiction aspects of the story and that the differences between the two are sometimes difficult to untangle. Which events are due to the slowing and which are part of growing up? All of Julia’s problems are fairly typical, but it is interesting to think about which ones may have been intensified by the sense of impending doom that the slowing instigates in people. Could this have caused people to behave in more extreme ways, act on desires they would not necessarily have acted on before? Perhaps. There was the sense that even the smallest, most unexpected changes can amplify things or make people act in unexpected and not necessarily positive ways. I like the idea of everything being interconnected; the social world as being a complex ecosystem that even the subtlest changes can transform beyond recognition. How would we cope with such an event as the slowing of the earth? Even small changes can have a very large social impact. This is interesting to think about in not only an environmental sense, but also in terms of changes in government, law and fiscal systems. Even subtle changes in any of these things can influence change in unexpected ways. However, I also felt that Julia’s isolation, confusion, eventual sense of belonging and acceptance of certain things coming to pass definitely gives the sense of this being a coming-of-age story, albeit in a slightly different guise. Even in a rapidly changing world, unrequited crushes are still a major concern for adolescents. There is the sense that these inner battles are more powerful than anything that is happening externally in Julia’s world. That the angst of the adolescent experience is universal, no matter what events transpire. Hello WordPress. It’s been a while. The last month has been rather hectic and, as a matter of fact, my feet are only starting to touch the ground. I sat and passed the final tests (there have been a lot) to enable me to complete my teacher training. I got engaged. I have been training for a 10K run. I bought an ereader. I have been watching Buffy the Vampire Slayer far too much. I have been gearing up to leave the Library in two months (!) and so working very hard. I have barely finished a book. I do not know what is happening. 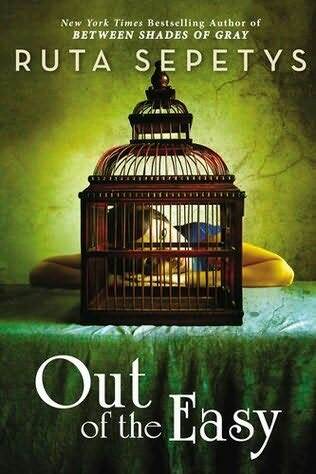 However, I am happy to report that I am now over halfway through Ruta Sepetys’ new book “Out of the Easy” and, wow, she’s done it again. I’m fully immersed in/mezmerised by the world of the French Quarter of 1950s New Orleans. Sepetys has made me rethink my views on historial fiction completely; her angle on things is so refreshing. Historical fiction has never really been my thing, but I’m also of the school of thought that a good book is a good book, whatever the genre. I also really enjoyed the Between Shades of Gray/50 Shades of Grey confusion. So, how is everyone? What have you been reading recently? I need an inspiring book to read next! I’ve been putting off writing this post for ages because, in all honesty, I’m a little bit heartbroken about having to make it official. I’m leaving librarianship at the end of this academic year, after less than two years. I currently work as an Assistant School Librarian and I absolutely adore my job, my colleagues and the kids that I work with. I think that Librarians are some of the best people in the universe and I’ve learned so much. So, why am I leaving? There isn’t one reason alone. There is a large part of me that wishes it was not so, or that I didn’t feel that it almost has to be so; however, an equally large part of me is super excited about this new adventure. I am leaving to train as a primary school teacher. I will be training on the School Direct scheme in the school I am currently working in, an Academy in Manchester with both a Primary and a Secondary phase. In the Library I have predominantly worked with secondary and 6th form kids, but the primary children often have Library sessions and I’ve done quite a lot of work with them too. Knowing the primary teachers and kids already, I know that I’ll be in safe hands next year, and I feel like I have a good grounding and a solid base to work from. Another way of describing my feelings would be to say: I know it’ll be tough, but I’m ready for the challenge. Before I started writing this post, I thought that my reasons for leaving Librarianship were pretty concrete and stable and universal; easy to quantify and describe and not particularly personal, but whilst writing this post I realised that I was wrong, and that everything went back quite a long way. So this may take some time. I do apologise. Interestingly, before starting my current post, I had only worked with children briefly, during two weeks work at a summer play scheme in 2006. When I did my Librarianship qualification, I had closed off quite a few career paths to myself (including teaching) through a total lack of confidence (completely unfounded) about my ability to work with other people. I concluded that I was inept simply due to the fact I was shy; there was no other reason, nothing concrete or evidenced at all. I guess I’d managed to talk myself out of participating fully in life. So I chose Librarianship, aged 24 and mid-existential panic, because a) I love, and always have loved, reading; and b) I figured it was a way of contributing something without having to necessarily work so directly with people, or at least having the option to take more of a back seat. My undergraduate degree was in Sociology and, cliché though it sounds now, I always had a notion that I would like to work in a career that helped people in some way. This was all very vague and idealistic when I was eighteen, but then, as now, I had modest financial and material ambitions and a very strong feeling that society is not equal, but there are certain things, like education and information and well-placed resources, that can make it less unequal, and that those things, especially education, are a right rather than a privilege. I now have no idea why I was so shy and unsure of my own abilities. I didn’t develop confidence in myself magically or overnight, but due to some events in my personal life that took place during my Masters year, I suddenly realised that life is really short and it’s not worth worrying about little things. In other words, I stopped caring what people thought or even what I thought. I just knew I would regret all of the holding back and not trying one day. These things are always obvious, but sometimes it takes certain events to make them real. It definitely took me a long time to fully start behaving accordingly, but I think a large part of my current confidence, the actual change-of-behaviour part anyway, has come from working with kids. You kind of have to get stuck in, working on instinct and basing decisions on emotional intelligence, and don’t really have time to think about over-analysing your behaviour. It’s made me feel free from my own introspection, and confidence has followed. Of course, there are other things. As part of my course, I did work experience at Whitworth Art Gallery in Manchester, which was a great place to work, but, in all honesty, I was bored out of my mind. It’s a stunning building, my colleagues were super interesting and nice, and I got to catalogue incredible historical documents, but the hours dragged and I became more and more convinced that I needed to work with people. After my Masters, I didn’t really have any clear intention of where I wanted to go, although I knew I wouldn’t like to go into archiving or cataloguing and that education really interested me, and ended up taking the first job I got offered in Manchester. I was incredibly fortunate to find something quickly, as I knew how hard things were (and still are), and although my initial reaction was blind fear at working with kids, I quickly found that I really enjoyed it. Working with children in a school library has been a primarily positive experience and has made me realise that I would like to devote my life to educating children. I quickly realised that my favourite parts of the job were the parts where I got to work directly with the kids and make a tangible, visible difference. I would never have realised this without getting my school librarian job. I always thought I’d be terrible with kids and the fact that I’m not (or at least, I hope I’m not!) made me completely reconsider my options. –Pay. It quickly became clear to me, through talking to other school Librarians, that there is discrepancy in pay expectations and the reality in the school library world. This is the case pretty much across the board, in all types of school. If I wanted to move jobs or advance my career, how many opportunities would there be? I actually think this is a really serious issue for the Librarian world. I have seen jobs advertised asking for a qualified Librarian that only pay minimum wage. What are the implications of this for Librarians and Library qualifications? CILIP has recommended pay scales, but I have seen very few school Librarian posts that follow these recommendations. Not only is the money an issue, but it’s the symbolic nature of pay. If you are getting paid minimum wage for a job that requires a Masters qualification, surely questions arise. Questions such as: does my employer value me? Do people regard Librarians highly? Are school librarians paid according to their qualifications? The answer seems to be, largely, no. I hope this changes, but at the moment, it just seems to be getting worse. – Working with kids. Once I started working with kids, I have not been able to imagine not doing so. My Saturday job last year was working in an academic library, and I didn’t enjoy it as much. I could have applied to work in such a library full-time, where the pay and career prospects are generally better, but I didn’t feel the same sort of enthusiasm for the job. I think that, the whole time, my interest was in education, and I saw librarianship as a way of educating people. I never imagined I’d be confident enough to be a teacher, but I have changed more than I could ever have imagined in the last couple of years. I guess hindsight is a wonderful thing, but, then, I wouldn’t have been ready three years ago. I have absolutely no regrets. First of all: Happy Easter/holidays to you all! I hope that everyone has had a nice, relaxing time. I have spent a large proportion of my time eating, reading and riding my brand new bicycle everywhere. I have also been revising for some more tests that I have to pass in order to become a teacher, so my brain is a little fried after lots of Maths auditing and testing! Hence, I have not really felt up to the challenge of writing proper, articulate reviews or library/book-related musings. I do, however, have a few things to say in the way of updates. 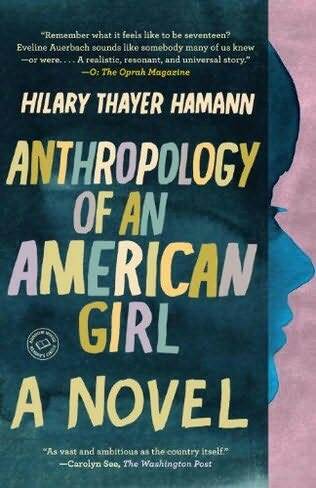 Since I finished Harbach’s book, I have been reading “Anthropology of an American Girl” by Hilary Thayler Hamann, which is taking some time. We started getting loads of requests for this from pupils, so finally relented and bought a copy for the library. My Easter task was (and is) to read it in order to assess the content/see whether we would need to warn anyone about anything within. A week in, I’m just over halfway through, and I am so frustrated and annoyed by the entire thing. It is written beautifully and the language is, at times, exquisite, but I find myself frequently so annoyed with the main character’s introspection and arrogance that I have to put the book down completely. And everything is so overwrought that it is quite tiring. Hence the very slow progress. Has anyone actually finished it? I am determined to do so, however I am worried that I’m getting really behind with my other reading! I’m so annoyed with it that I think it’s put me off even bothering to pick anything else up before I finish it. 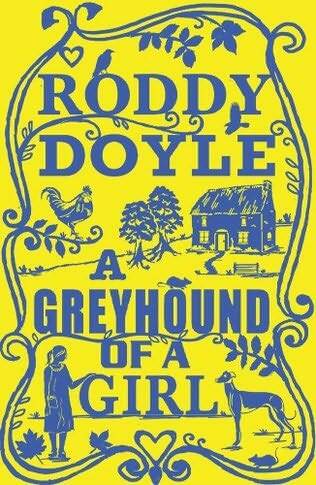 I did, however, in between all of this, manage to read “A Greyhound of a Girl” by Roddy Doyle from the Carnegie shortlist. Again, I will try to write a proper review soon, but what a charming little book! I don’t think it is my favourite, but it definitely brought a smile to my face. In other news, last night I went to Tales of Whatever at the Castle in Manchester for the first time. It’s a monthly true storytelling event where interesting folk get up on stage and tell a, you guessed it, true story. Thoroughly enjoyable. Should I be worried? Kugel asked. You should only worry, said Sergeant Frankel, about the things you can control. If I could control them, said Kugel, they wouldn’t worry me. 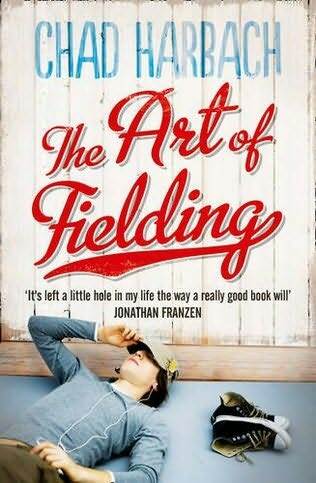 I decided to read this due to a colleague’s description of it as a comedy book about death and a Jewish man finding Anne Frank living in his loft; I also read reviews comparing it to Woody Allen and how it perfectly encapsulates “that dread feeling of being alive”. As an part-time sufferer/full-time fan of Allen-esque angst, how could I resist? 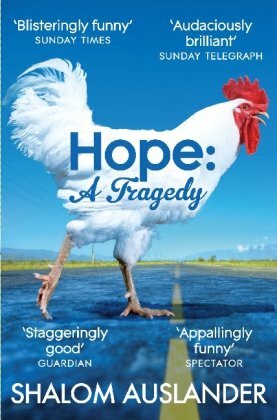 Hope: a Tragedy is a strange book. It’s about a Jewish man named Solomon Kugel who moves his family from an urban life to a rural farmhouse in order to start anew. His mother is terminally ill so she moves in with them. Someone is burning down farmhouses similar to the one Kugel and his family live in; this is one of the (many) causes of his worry. He then discovers an elderly, ailing and cranky Anne Frank living in his attic, writing a novel and defecating in the air vents. And as for the hope? Jove, Kugel’s psychiatrist, believes hope to be the cause of all human misery. There is so much evidence against optimism, yet humans still foolishly remain optimistic, therefore remaining miserable. Hope is irrational. According to Jove, Hitler was an optimist, because he thought he could change the world for the better. And by trying to make the world better, Hitler made it worse. Ergo, an optimist is certainly not a good thing to be. This interestingly twisted philosophy is threaded throughout the book and, indeed, the way in which Kugel interprets the world around him. The book is a fairly simple structurally, as well as being a super quick read. Although not particularly varied in narrative or tone, I thoroughly enjoyed reading Kugel’s angst-ridden inner monologue as he tries to figure out what to do about his mother, Anne Frank, his family, the arsonist and life in general. The portrayal of the various neuroses that Kugel suffers about secretly harbouring Anne Frank was very droll, and very cleverly done. There is one exchange in particular, between Kugel and his wife about who they are and are not allowed to secretly house, that was hilarious. Auslander’s book is hilarious and worried; morbid and full of the joys of life, often simultaneously. There is a very large question-mark about hope and whether one should just be miserable (as Jove urges us to be), but Kugel can’t help but enjoy life sometimes, it seems, almost despite his best efforts. Maggot Moon is set in a dystopian vision of the past. It is not immediately clear when the story is taking place, only that people’s lives are tightly controlled by the totalitarian regime of the “Motherland” and that theirs is a brutal, harsh world characterised by fear, poverty and violence. It was only afterwards that I read that Gardner’s inspiration for the setting was thinking about historical “what if” questions: for example, what if the weather had been different on a particular day? What if this meant that London had become an inferno? What if this had altered the course of a war? It’s an interesting thing to think about. It is in this alterative version of history that we are introduced to Standish Treadwell, a 15 year-old dyslexic boy with different coloured eyes, and his Gramps. Everyone thinks Standish is stupid because of his dyslexia, and he is constantly facing the threat of bullies (both children and adults) because of this. Standish and his Gramps live in Zone 7, which is reserved for outcasts and political anarchists. Standish’s parents have been “taken away” because of their beliefs. All the while, the Motherland is attempting to prove its might by achieving the first moon landing, but Standish and his Gramps think something is not right. Standish speaks fondly of his friend Hector and his family, who moved next door and then got taken away themselves. The story is not told in chronological order and can, at times, be difficult to follow. Not everything is explained. You have to work at understanding things, and there are lots of different layers to everything. Standish talks about his life in a very sparing way, but his narrative voice is completely clear. The language Gardner uses is vivid and colourful, but also sparse and precise. This matches the mood of the world she creates perfectly; the contrast between Standish’s colourful, imaginative inner world and the grey, bleak world of his reality. The chapters are short and to the point. It’s a quick read, but challenging, and it is rare to see language used in such a compellingly simple way to express such complex ideas. I also think that Maggot Moon is the sort of book that needs to be talked about and thought about to be fully appreciated. I found myself puzzling over it for days afterwards, trying to figure out what I thought of it. The more I thought about it, the more I liked it. Because it is short, you do end up feeling like you want to know more about the characters, their relationships and their lives. This was something I found a little frustrating. However, the power in Maggot Moon is contained within what it does with very little, and how it makes you think. The only thing that really bugged me was abundance of made-up swear words (just swear if you’re going to swear! If you’re not, there are existing words that will suffice) but that is a particular bugbear of mine and doesn’t necessarily reflect anything other than my own particular tastes. All in all, Gardner creates some moments of sheer brilliance. I can’t even possibly go into them all without giving too much away, and, despite its flaws, this is definitely one of the most interesting children’s books I’ve read in a very long time, and for this reason alone, you should give it a go. It’s been such a busy week that this is the first time I’ve had chance to sit down and fully give my attention to the books that are on Carnegie shortlist. I must say, I’m pretty impressed. 1. Urging, nay, harrassing kids to take out particular shortlisted books. 3. Using/discussing the books with our reading groups. This said, I am glad that he won, because I know I was in a minority, but I am also glad that someone else gets to have a go this year. I liked this before I asked myself the question. After I asked myself the question, I wasn’t sure what I thought. 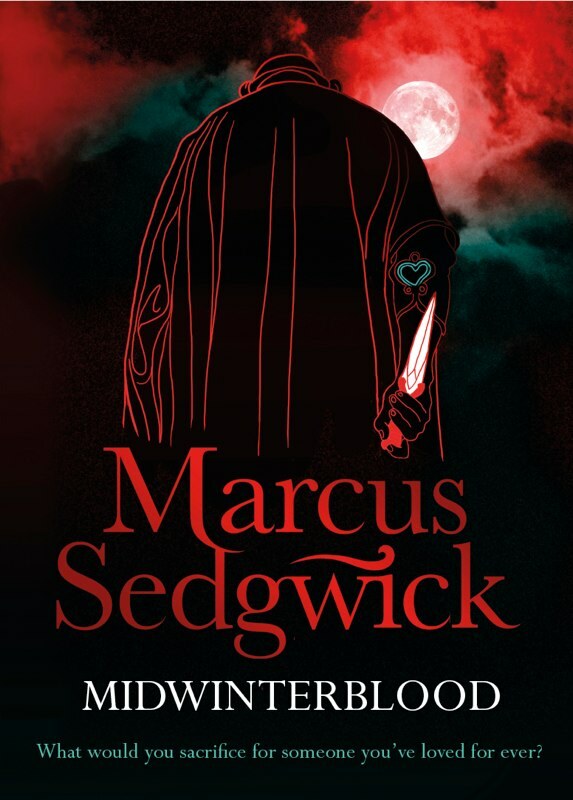 Sedgwick is undoubtedly a fantastic writer with great mind, but I’m just not sure whether this book really connects with the kids I work with. It’s barely been taken out. The seven interlinked stories and themes of death, love and eternal life are fascinating and atmospheric, but there is barely any character development and the entire thing feels a little cold. This was fine by me as an adult reader; the atmosphere was brilliant enough to make up for this. However, for the kids? I’m not so sure. 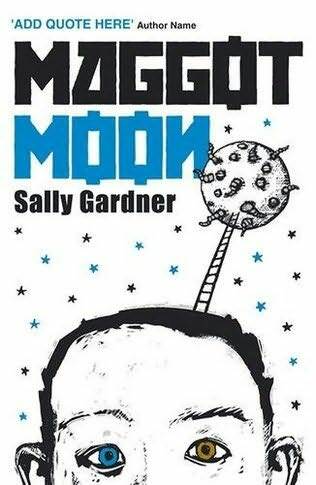 I am currently reading Maggot Moon by Sally Gardner and will endeavour to read and review all of the titles before the winner is announced in June. What book do you think will win? Do you have any general thoughts?